Hollywood's biggest night saw historically low ratings for ABC. 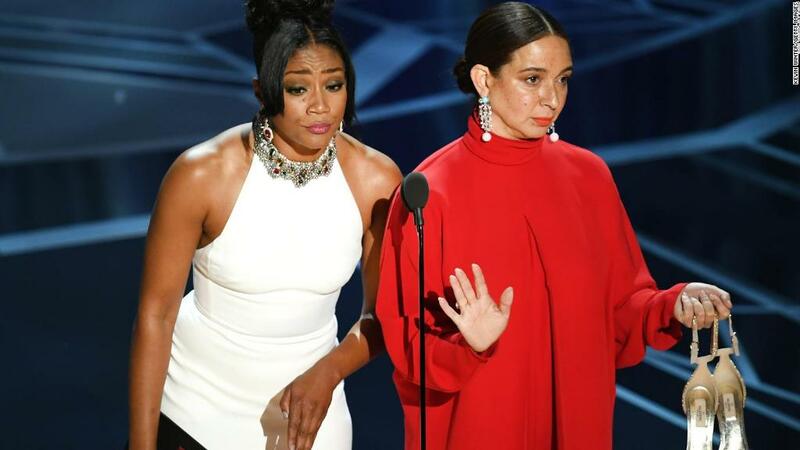 The 90th Academy Awards on Sunday drew an average 26.5 million viewers. That's a solid number, but it's the smallest viewership number for the award show ever. It's a nearly 20% drop from last year's telecast, which brought in roughly 33 million viewers. The previous low was 2008, when Jon Stewart hosted and "No Country For Old Men" won Best Picture. That broadcast brought in roughly 32 million, according to Nielsen. Sunday night's low ratings can be blamed on myriad reasons, from the show's nearly four-hour run time, to the fragmented TV landscape, to the nomination of smaller films like "Darkest Hour" and "Call Me By Your Name" for the biggest awards. For example, "The Shape of Water," which won Best Picture, has made $57 million domestically. That's roughly $163 million less than what "Star Wars: The Last Jedi" made in its opening weekend in the United States in December. Another blockbuster, "Wonder Woman," received no nominations and Marvel's "Black Panther," currently the biggest hit at the box office, won't be eligible for awards until next year. The most watched Oscars in history were in 1998. "Titanic," one of the highest grossing films of all time, won Best Picture that year. "The Oscars are a big, unwieldy beast, which invariably try to serve too many masters," wrote CNN critic Brian Lowry. "Yet if the intent was ultimately to maintain a celebratory tone without ignoring either the outside world or the elephant in the room throughout this year's awards, host Jimmy Kimmel and the show itself largely succeeded."